Together with our partners we, have been implementing this scholarship program since 2003 to support your four year undergraduate level study. Check out all the details for the program including the list of universities, eligibility criteria and application process. Program provides financial support to education in Petroleum engineering, Mechanical engineering, Chemical engineering, Electrical engineering, Civil engineering, Electronic engineering and Mathematics faculties of Middle East Technical University (Ankara) and Istanbul Technical University; Mechanical engineering, Chemical engineering, Industrial engineering faculties of Qafqaz University and Petroleum engineering faculty of Khazar University. Your English language ability must reach an acceptable level to be enrolled in undergraduate studies in Turkey. Scholarship doesn’t cover one year preparatory English language courses. The start of the scholarship program for Turkey Universities is 15 July 2013. The deadline of the program is 5 August 2013. Copy of SAT or TQDK examination result. Copy of admission to the university. Results of TOEFL / IELTS tests for new admitted students. From graduates of preparation courses confirmation from Turkish university about the completion of English language preparation course. From graduates of first year of studies confirmation from university about year of study and CGPA report. 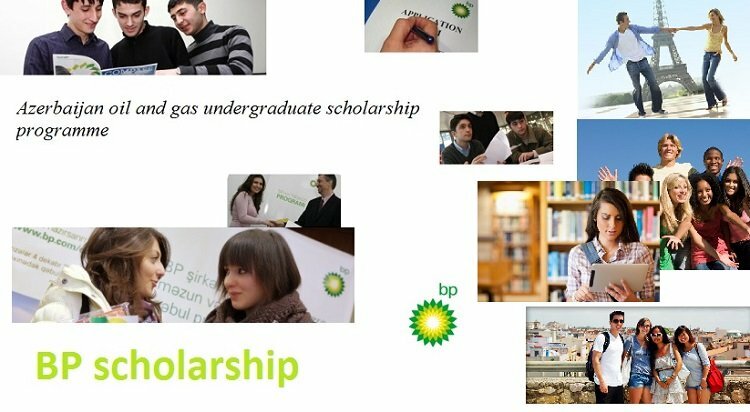 Completed application form, scanned copies of requested documents and all related questions have to be submitted electronically to scholarship@bp.com. All applicants must hold a valid foreign passport to travel to Turkey. HOW WILL YOU BE SELECTED? Finalists will be selected through merit-based competition. After review of initial applications selected candidates will be invited to take tests. Final selection will be based on the SAT/ TQDK, English Language tests results and individual interviews with BP representatives. Complete the application to apply for the program.